Like many little girls Rosie and Jewel are obsessed with Frozen right now. It really is such a fantastic movie, and the soundtrack is equally amazing. 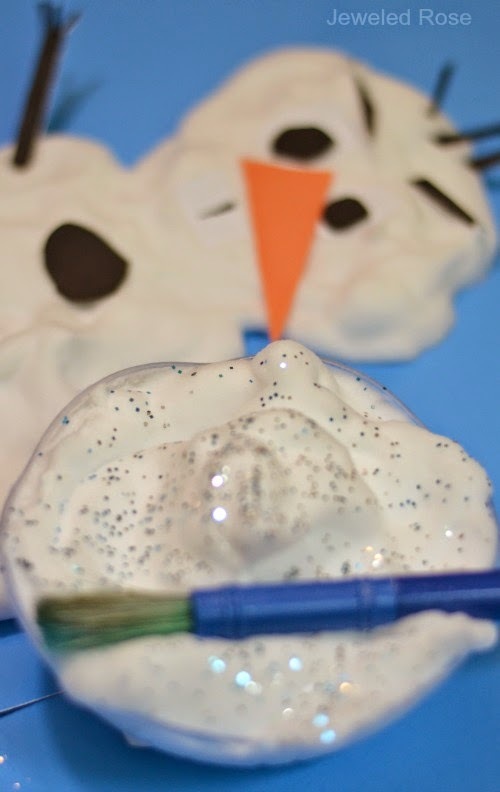 In light of their current obsession I have been having lots of fun putting together Frozen activities for them. Painting OLAF was one I knew both girls would love! This paint is really easy to make. 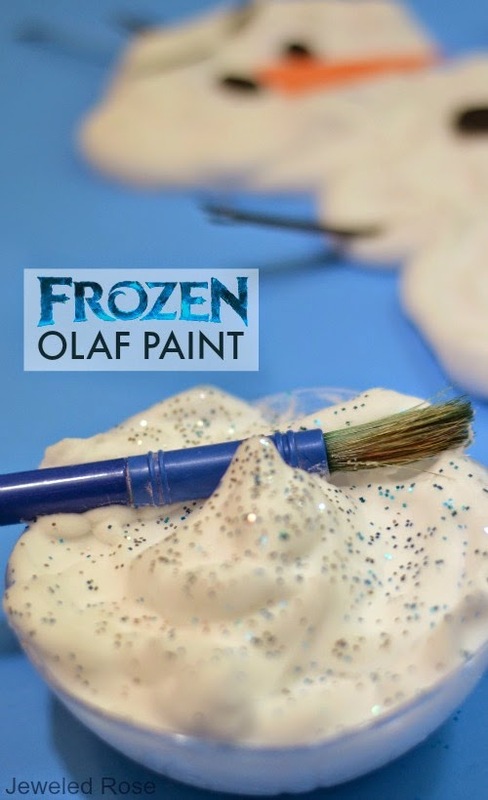 It is actually one of our favorite winter paint recipes, and one that is perfect for the Frozen theme. The paint is cold like snow and dries puffy and raised. It makes a perfect Olaf paint. 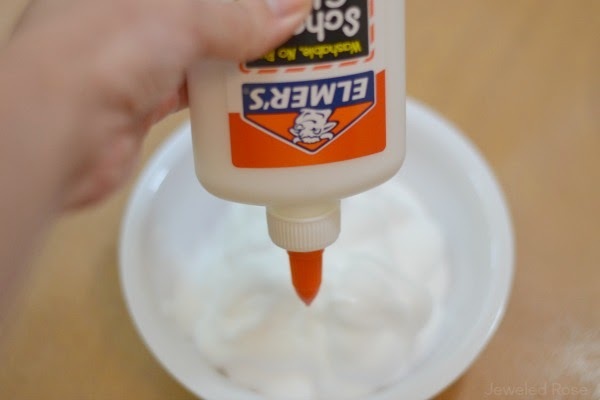 In a bowl or container combine equal parts of cold shaving cream and white school glue. We always just free pour when making this paint and try to get as close to equal amounts as we can. 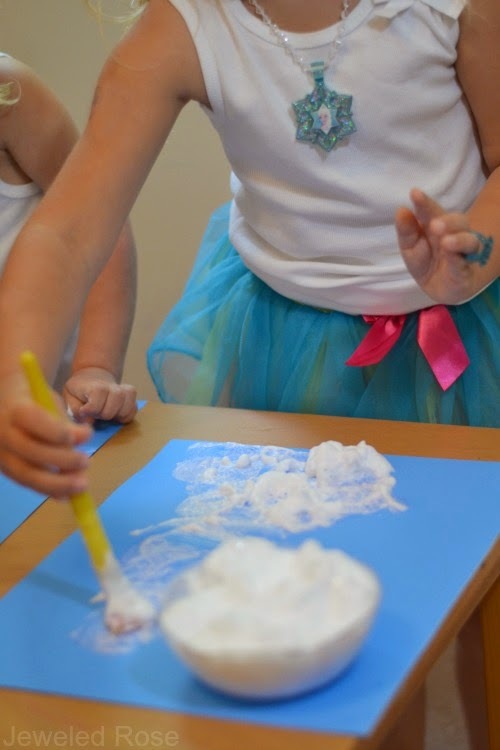 To get the shaving cream and glue cold just pop them in the refrigerator for a few hours before making the paint. 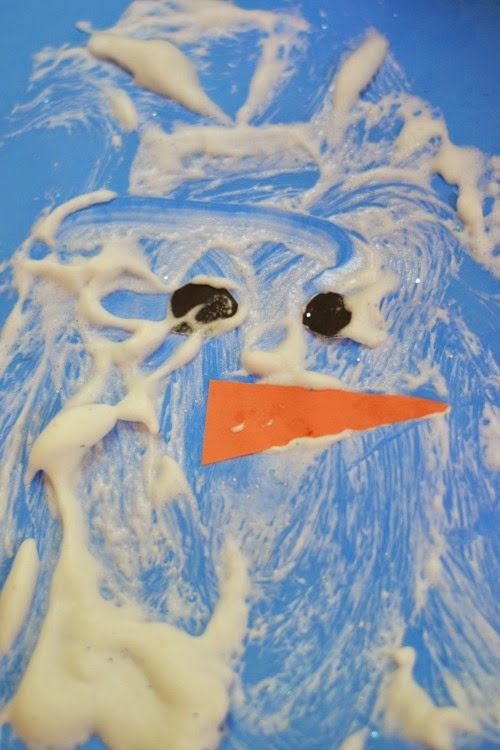 The girls painted their Olaf's while we listened to , "Do You Want To Build a Snowman?" It was pure bliss for Rosie and Jewel. They sang and painted with smiles so bright they filled the room and my heart. This paint is so neat! It is cold to the touch and dries puffy and raised. Once the Olaf paintings are dry kids will be able to touch them, and they will have a puffed, textured feel. 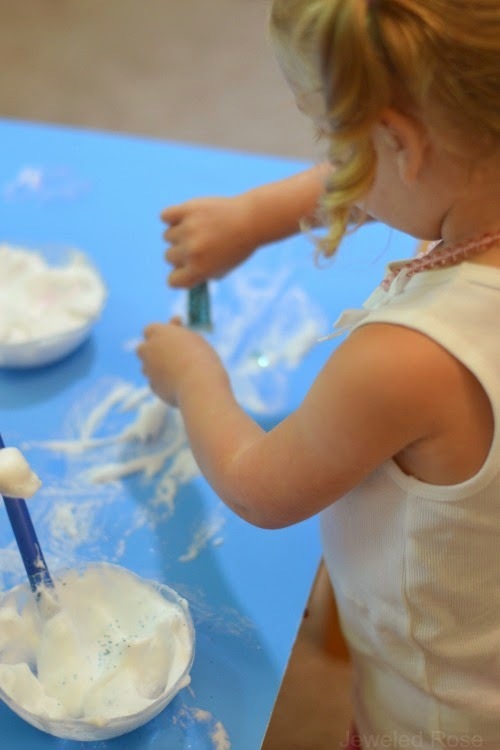 We really just love this simple recipe for play.